Photo by Stuart Cox via the Londonist Flickr pool. 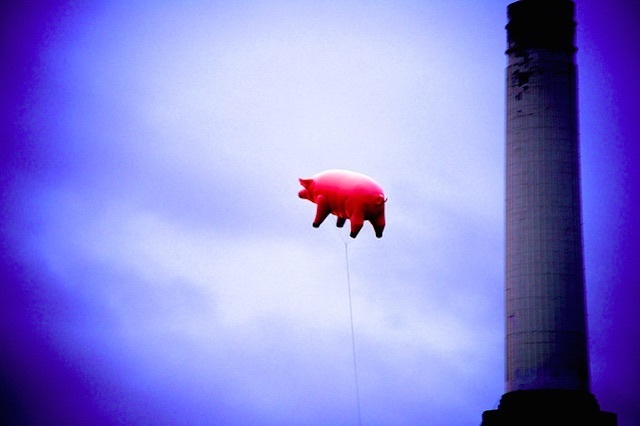 Have you seen a pig flying over the London Eye? Have you (or your favourite toy) visited the city and had a London adventure? Ever had a picnic with a witch in Hyde Park? With the Imagine Children’s Festival taking place at the Southbank Centre from 9-22 February, we are turning over our short fiction section to stories by children, and stories for children. If you're a young author-in-the-making, or a budding children's writer, we want to hear your tales about London. Send us your story; entries that we enjoy reading the most will be published online. There are no strict guidelines on story length. Entries might be only a few sentences or could be as long as 1,500 words. We will publish the best of your stories on Londonist.com in February. There will be prizes for the best in each category. Please send all entries to fiction@londonist.com, including ‘‘Children’s stories’’ in the subject line and let us know in which category you are participating. We promise to read and respond to all entries that we receive. For inspiration check out our series of stories about London. The Imagine Children's Festival features appearances and readings from top authors including Judith Kerr, Lauren Child and Anthony Horowitz, plus live performances, workshops, music, interactive installations and loads of other great activities for kids. More details are available on the Southbank Centre website.